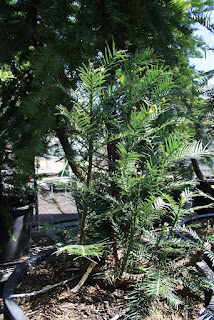 The Discovery of The Wollemi Pine. In 1994, 3 canyoners found a stand of trees that they had never seen before in Wollemi National Park. 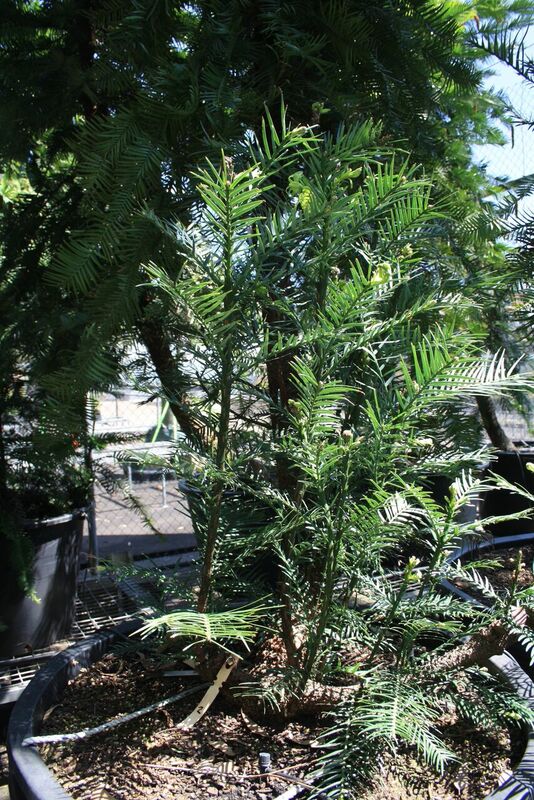 The leader, David Noble, took some specimens to have identified at the Royal Botanic Gardens, Sydney. 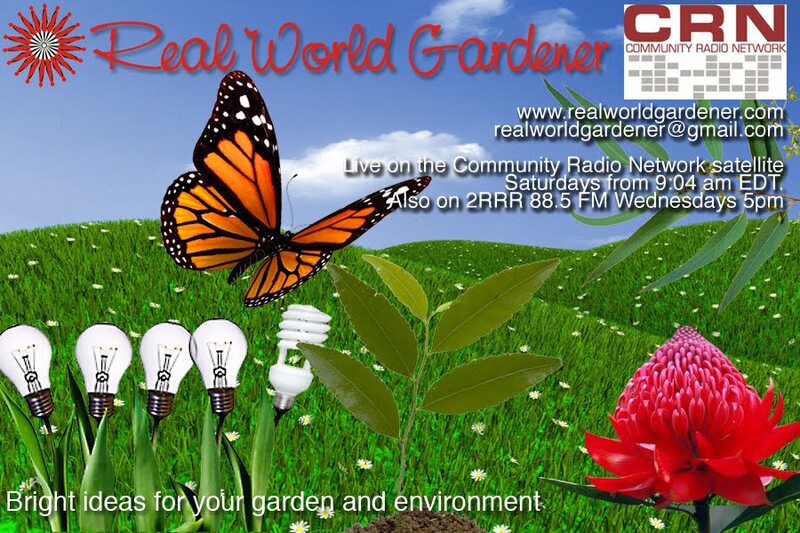 Louise Brooks is reporting for Real World Gardener and here she talks with Dr Cathy Offord, Research Scientist at Mt Annan. 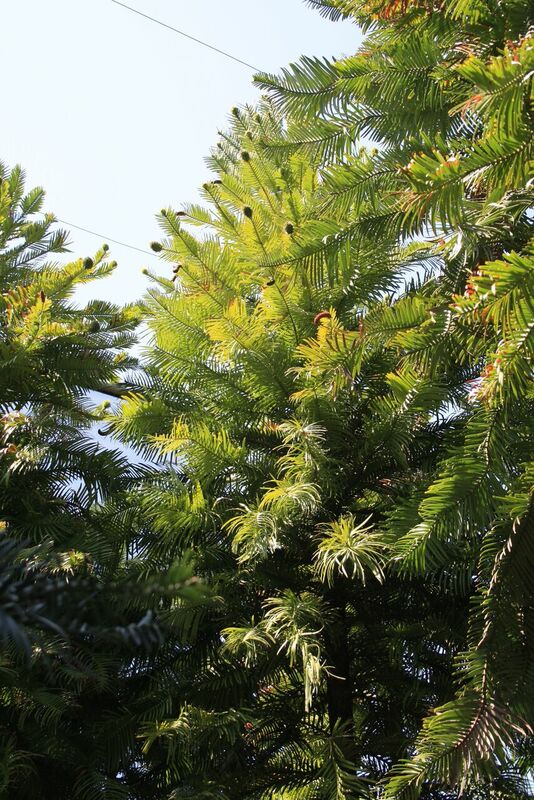 Cathy is researching various aspects of the Wollemi pine, listen to the podcast to find out more. Thank you to Louise Brooks for recording and producing that interview with Dr Cath Offord, Research Scientist at Mt Annan Botanic Garden. 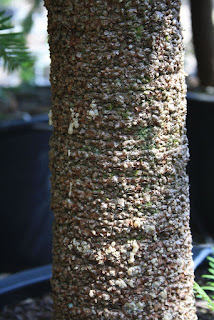 Wollemi Pine trunk displays bubbly bark. If you have any questions about growing Wollemi Pine or have some information you’d like to share, why not email realworldgardener@gmail.com or write in to 2RRR P.O. Box 644 Gladesville NSW 1675. Have you ever heard of a mushroom plant? I bet you’ve never heard of a it? Rungia klossii or Mushroom plant is from the Acanthaceae family, that has quite a lot of ornamental plants with names like, Acanthus mollis or Oyster plant, Justicia sp. You might’ve heard of the shrimp plant, or even grow it yourself. Why are these plants in the same family? For one thing, these plants have sympetalous corollas-that means the petals are fused into a tube and they also have four stamens (sometimes reduced further to two). Members of this family that grow in Australia or New Guinea (Australia was part of New Guinea in Gondwana time.) are usually small herbs or shrubs. They usually have quite dark green leaves. Well local markets are a good thing, and it’s at one of these market plant stalls that I found such a plant. At first I didn’t really believe the stall holder so she made me try a leaf. It wasn’t until I was chewing on the second leaf that the real mushroom flavour came through. You can also buy it now from online shops, or ring them and they’ll send you a catalogue, or your local garden centre might even carry it. The mushroom plant is a perennial-that means it flowers and sets seed over a number of years, growing to about 60cm high. It originates from the highlands of Papua New Guinea, so it’s a tropical plant or sub-tropical plant, but seems to grow alright in cooler areas that only get a light frost. Don’t despair, if you want to try this plant, I’ve been growing mine for years in a pot, and even though there’s not that much frost where I live, it seems to survive quite well. In cooler areas, the plant will die down in winter but comes back up in spring. Mushroom plants have dark green, glossy succulent leaves and stems with a yellow central mid-vein. The leaf is crinkly, about 2 cm long with a sharp point. The leaves are arranged on a stem in opposite pairs at right angles to those above and below, this is what’s known as decussate. In fact you if you bite on the leaf, it’s quite crunchy, and very tasty. Tip: Don't worry if it hasn't flowered. Mine has never flowered but it’s supposed to have blue flowers in spring. It probably flowers in more tropical areas. The flowering doesn’t matter really because you’re growing it for the leaves to put into your cooking, sandwiches and salads. There isn’t much information about growing this plant in books or on the web, but I’ve found that it grows well in ordinary potting mix, and I’ve also put a plant in the edge of my veggie bed. I have heard that it doesn’t like being waterlogged so for those people who have clay soils, you need to grow it in a raised bed or pot of any size. You could say it copes in most soils, but it must be well-drained and kept fairly moist. 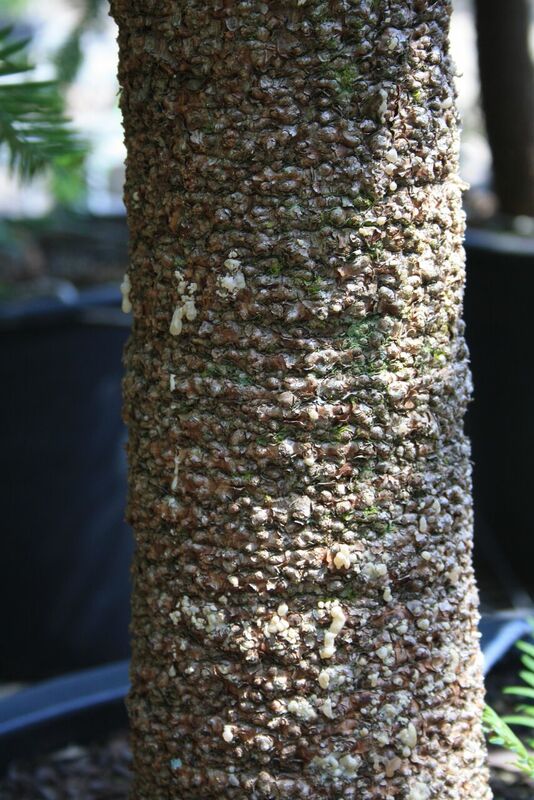 Mushroom plants can be grown in a position that gets morning sun or semi-shade. If your district experiences temperatures in the mid-30’s for stretches at a time, I would say that you should only try this plant in a semi-shaded spot. In cool temperate climates you could grow the mushroom plant in a full sun position. This year I hedged my bets, I put one in the veggie bed in full sun, although it’s next to a taller Angelica plant and I kept another one in a pot in semi-shade. The full sun plant is more bushy but shorter than the potted plant. This plant certainly won’t cope with any frost in winter. So if you want to grow it in, grow it in a pot and move it to a sunny spot when it gets really cold or under the verandah or patio. Picking the leaves often means the plant gets more bushy-a bit like pruning most plants, the new growth that comes after is better. In colder climates it becomes dormant in winter, may even die right down, but in tropical and sub-tropical areas it doesn't always lose its leaves. The plant will grow from cuttings or from root division. Spring is the best time, and it can be slow to strike. Although once you get it going it can grow quite quickly. If you plant it in the ground it’ll spread by suckering and will form a large clump over time. You can eat the leaves in salads, they have a nice crunch to them, or chop them up and put them into scrambled eggs. They won’t go that grey colour. Add them to soups, stews and stir-fries towards the end of cooking time. Heat enhances that mushroom flavour. Why is it good for you? The leaves are extremely rich in chlorophyll, making them, valuable for blood cleansing and building. But the good part is calcium content is 272mg to 100 grams of leaves the highest in any plant! Other plant foods with high sources of calcium are: kale at 249, almond 234, soybean 226, parsley 203, dandelion leaves 187, watercress 151, chickpeas 150, horseradish 140, sunflower seed 120, wheat bran 119, broccoli 103, fennel 100, spinach 93, lentils 97, raisins 62, Chinese cabbage 43 … which shows us that the mushroom plant is very high in calcium. The plant is also a rich source of vitamin C, beta-carotene, iron and other vitamins and minerals. It’s a very tasty herb and there should be more of it around. The mushroom taste gets stronger with cooking. Go to your local markets and buy one today. AND THAT WAS YOUR VEGETABLE OR HERB HERO FOR TODAY. Are you one of those gardeners that avoids using plants with red flowers or red leaves in the garden? For some reason, the colour red has that reaction when gardeners are choosing colour in the garden. Perhaps it’s because of the fear of red clashing with the other colours in the garden? Knowing how to use colour in the garden can be a bit tricky because there are so many variations of the one hue. This is part two in the series, Designing with Colour in the garden-this week is all about using Hot Colours, of which red is one-what would we avoid when using hot colours? Knowing how to combine colours so that the final product will be one we like takes practice, or perhaps even trial and error. We know what we like when we see it and to stop your garden from looking like the clash of the titans, take the opportunity to visit other gardens, or visit parks that have displays of colour to see what you really like. Only practice and experimentation will develop your eye for colour and allow you to see the differences between colours. This next plant is the type you buy after seeing it in a florists display because it looks so exotic with it’s rich velvety petals. You think to yourself, “ I’ll get that” as a reward for something you’ve done like finishing a horticulture course, gardening or floristry course or a difficult task. Perhaps even after losing some weight. If you find the right location, they last for years and years. -let’s find out about this plant. These modern hybrids have brilliantly coloured trumpet-shaped flowers and very beautiful, large, flat, velvety mid-green leaves. The flowers vary in colour from rich crimson, deep red, violet and white to various combinations of such colours. Some forms, called the tigrina gloxinias, have flowers heavily spotted or delicately veined in these colours on a white background, and others have frilled edges, touched with white. I used to treat myself to a red velvet flowering gloxinia when I finished my horticulture exams. They would last a couple of years, then it was time for a new one. The tubers will survive from year to year but they should not be kept longer than 2 or 3 years as old plants tend to lose their vigour. Yes, I spent quite a few years studying. As a rule of thumb, if you can successfully grow African violets, you can probably grow gloxinias. Having said that, Gloxinia prefer higher humidity than African violets or Streptocarpus, and many serious growers find that they must supplement the humidity in their grow rooms with pebble trays or a humidifier in order to grow Gloxinia successfully year-round. If you’re ever fortunate enough to be able to attend an African Violet show, then you’ll find that Gloxinias, along with Streptocarpus are also exhibited and for sale. 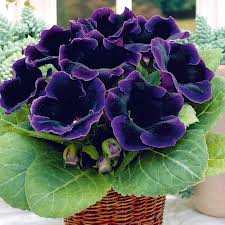 The biggest difference between growing Gloxinia and growing African violets or Streptocarpus is that Gloxinia require a period of dormancy or “winter rest” in order to flower again. Your plant will start to wind down, usually around April or May with flowers fading more quickly and fewer or no new buds being formed. When that happens, your plant is telling you it’s time to rest. Reduce watering to about half the usual amount and remove dead flower stems. 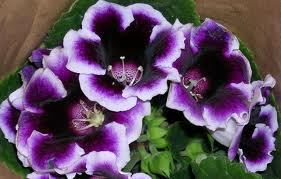 The really great news is that once you have a mature gloxinia plant, it can live for years. There’s the belief that if you can successfully grow African violets, you can probably grow gloxinias. They both are members of the Gesneriaceae family. Funnily enough I can grow my Gloxinia outdoors under a peach tree in a pot, but can’t do that with my African violets.